This is my friend Zach, it was painted as a step by step demonstration for the book, "Digital Collage and Painting, Using Photoshop and Painter to Create Fine Art - 2nd Edition - Focal Press" There were 20 artists chosen to share their techniques in painting digitally, I was honored to be one of them! The book will be available in October of 2010. 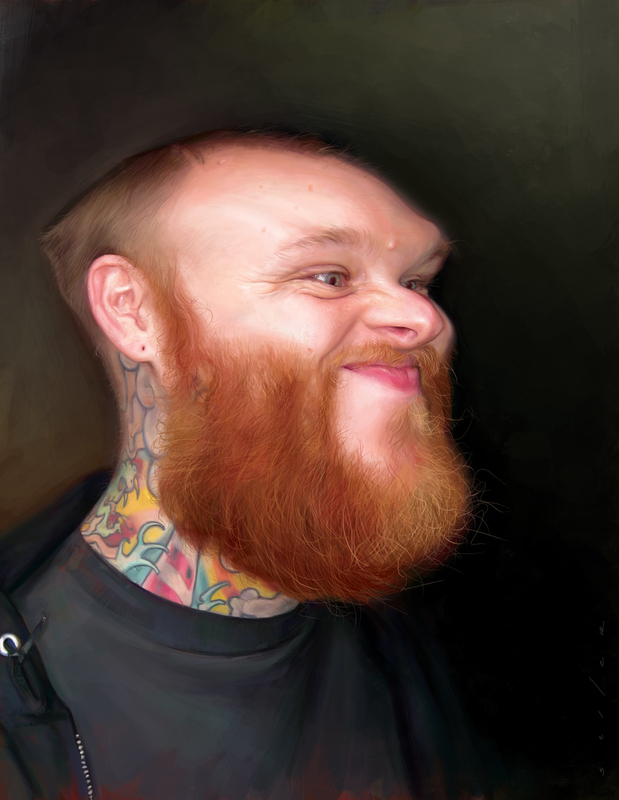 I chose to paint my friend Zach because of the color, I love the brightness of his beard and the tattoos on his neck. Funny thing is that the beard and the tattoo were the most difficult to paint, especially the tattoo. It was a fun challenge. Because it was done as a step by step, I wanted to keep it painterly this helped to explain my technique and process from sketch to final painting.